One Stop Mobility offers wheelchair rentals to accommodate users with a variety of needs. For example, we have wheelchairs that support users who weight up to 450 lbs. Our standard wheelchairs support up to 250 lbs and come available in different seat sizes based upon rental availability. 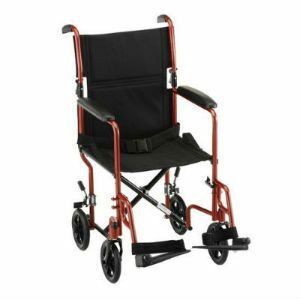 These are wheelchairs that are medical grade and used commonly in hospitals and physician offices. Our standard wheelchairs require the user to either wheel themselves or be wheeled by someone. With a low maintenance carbon steel frame and solid performance tires, our mobility wheelchairs are a great choice to use for renting. They can easily fold and be put in the back of a car by lifting up the middle of the vinyl seat. 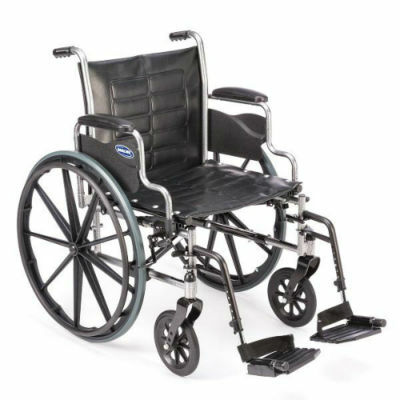 The heavy duty wheelchair model style is almost identical to the standard with the exception of an additional 100 lbs that can be supported. It comes with a reinforced carbon steel body frame and larger tires, which adds for a smooth ride for the user. If you need something that is lightweight and discreet, our transport chairs will be ideal for you. The require someone to wheel and push you but are a great choice to use if you cannot lift heavy objects. Models and chairs may vary, but the average weight of these transport chairs is 25 lbs.